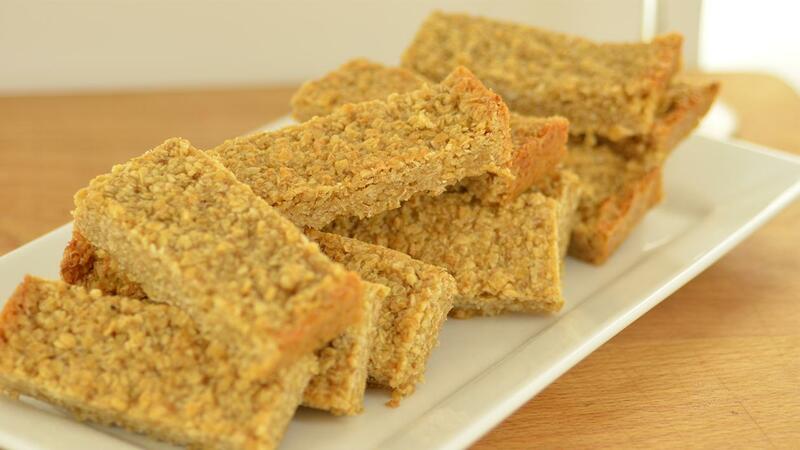 Create a classic British dessert with this easy flapjack recipe. Comfort food with desiccated coconut for an extra nutty finish. Melt FLORA Buttery and golden syrup in a suitable pan over a low heat whilst gently stirring. Place sugar, oats and desiccated coconut in a large bowl, carefully pour the syrup mixture into the bowl. Pour into the pre lined tray and press the mixture into the sides of the tray. Place in to the oven and bake for 20-25 min. Once cooked remove from the oven and allow to cool completely in the tray. Cut into 20 bars or even portions and serve.